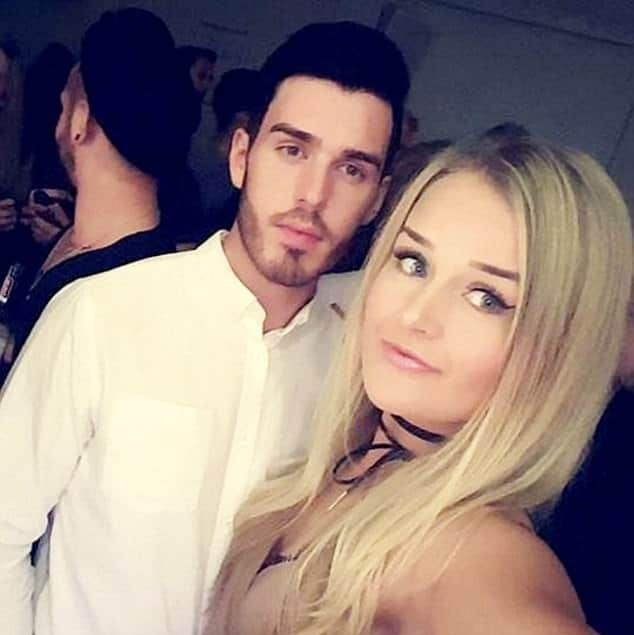 Pictured jilted UK boyfriend, Joshua Stimpson and his former girlfriend, Molly McLaren whom he murdered after breaking up with him. Joshua Stimpson sentenced to life jail, with 26 minimum year jail after ‘deliberately’ stabbing his ex girlfriend, 75 times, two weeks after breaking up with him. 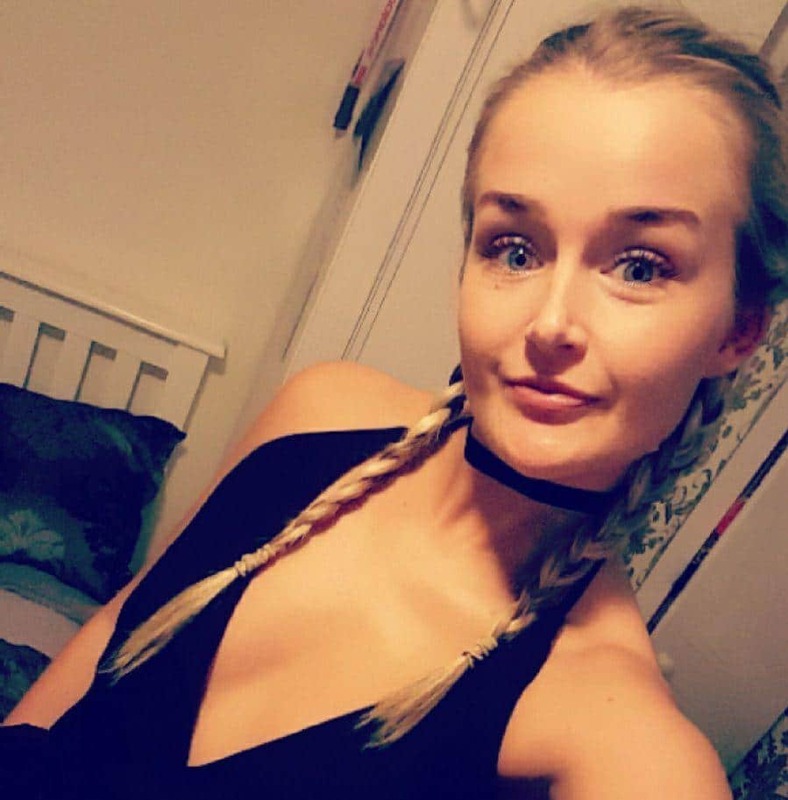 Maidstone Crown Court has sentenced Joshua Stimpson a 26 year old Kent, UK man to life in jail after fatally stabbing his former girlfriend, Molly McLaren, 23, to death, two weeks after she broke up with him. 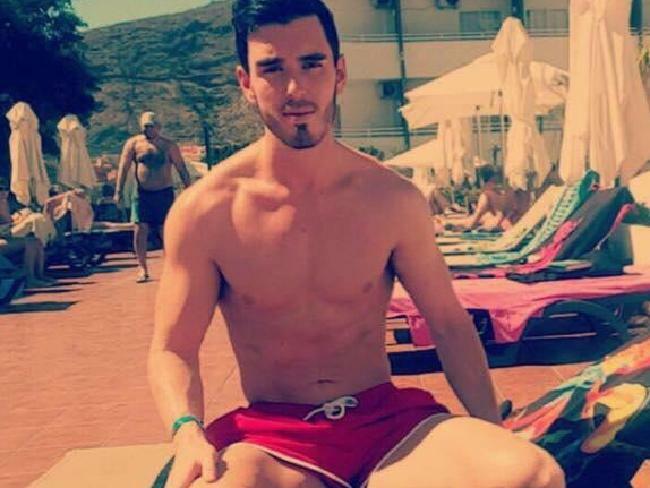 The woman’s murder came after her ‘obsessive’ boyfriend stabbed his student/fitness blogger girlfriend no less than 75 times while she sat inside a vehicle at a retail store carpark in southeastern England. An autopsy report revealed the woman’s throat completely severed. At the time of her stabbing murder, the woman desperately honked her car to no avail as Stimpson continued to stab at his victim. As part of his terms of sentence, the guardian reported Stimpson must serve at least 26 years in jail before he is considered eligible for parole. 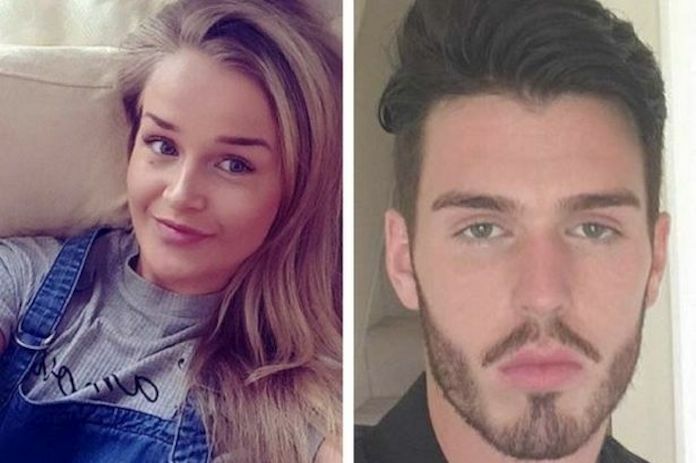 McLaren’s death came after Stimpson posted menacing messages about Molly McLaren on Facebook before he attacked her at a retail park in Chatham, Kent last summer. The attack argued prosecutors was premeditated and done with planning. Stimpson was caught on security cameras buying a Subatier paring knife, which he used to kill McLaren. It was later found in the driver’s seat of her car. 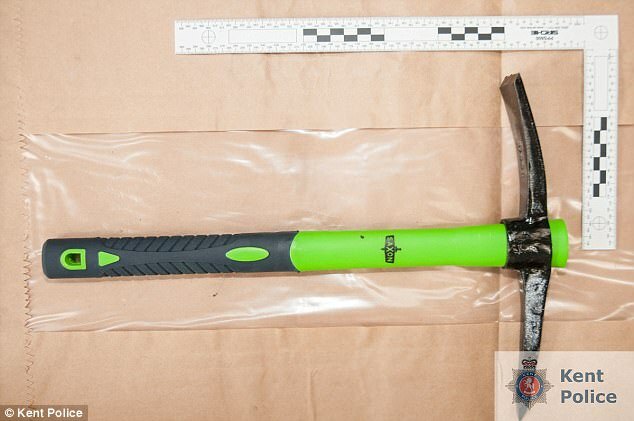 He also bought a Saxon pickax, which was recovered from his car after the killing. 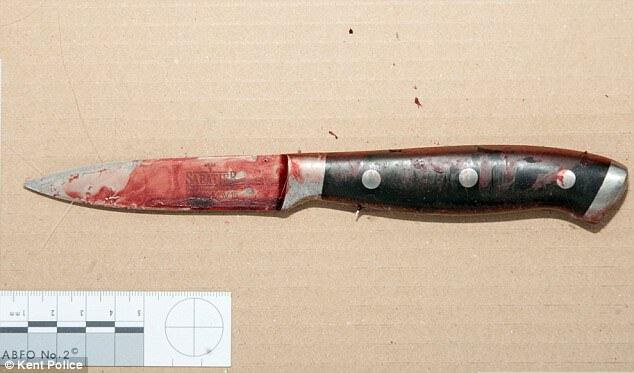 Pictured the kitchen knife murder weapon Joshua Stimpson bought moments before fatally stabbing Molly McLaren. Along with the murder weapon, police also recovered two Stanley knives and a pick axe from Joshua Stimpson’s car at the scene. The verdict came despite Stimpson conceding at the very least manslaughter, with the defense arguing diminished responsibility due to bipolar disorder. A claim the jury refused. 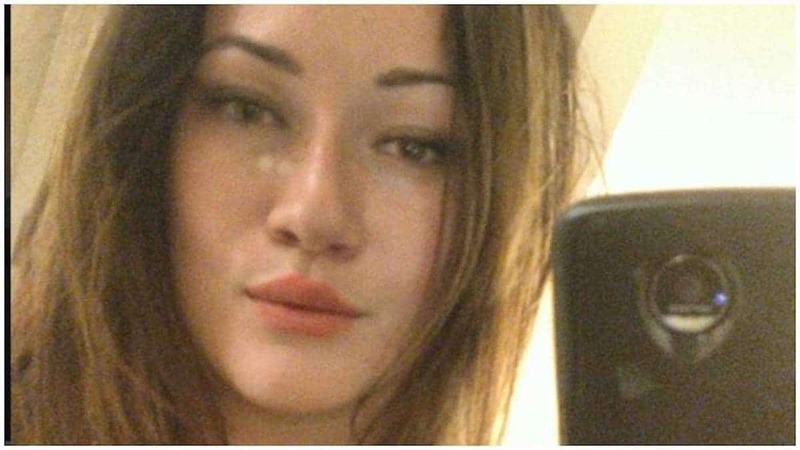 Of disconcert, McLaren had twice contacted police about her ex’s behavior, the second time less than a week before her death, but he ignored officers’ warnings to leave her alone. 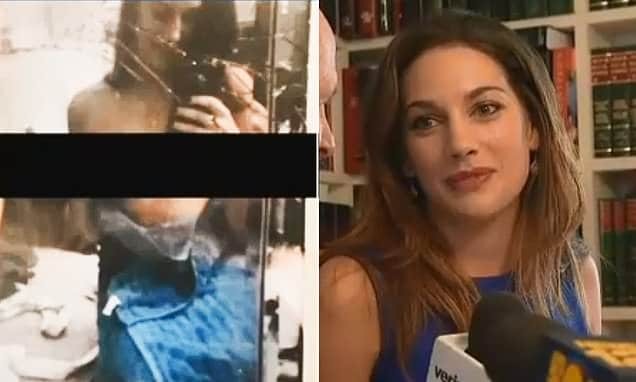 The dailymail reported Stimpson and McLaren having been in a seven-month relationship since late 2016 after meeting on Tinder, but she ended it about two weeks before the fatal attack. After they split, he began to post things about her online and follow her on nights out. McLaren confronted Stimpson after he followed her to the gym on June 29 last year and tried to work out in the same room. She left the fitness club when her mother urged her to come home. But Stimpson followed her into the car park and repeatedly stabbed her as she tried to drive off. CCTV showed him being arrested, covered in blood, after a passer-by tried to stop the attack. Pictured, Joshua Stimpson and Molly McLaren. Joshua Stimpton: Narcissistic personality trait. Told Judge Adele Williams, ‘This was a cruel, calculated and cowardly act. This was an act of wickedness. You took away Molly’s life quite deliberately in the most vicious fashion. ‘You were determined to punish her for ending the relationship with you. You were seeking revenge. ‘She was 23-years-old, beautiful and intelligent. 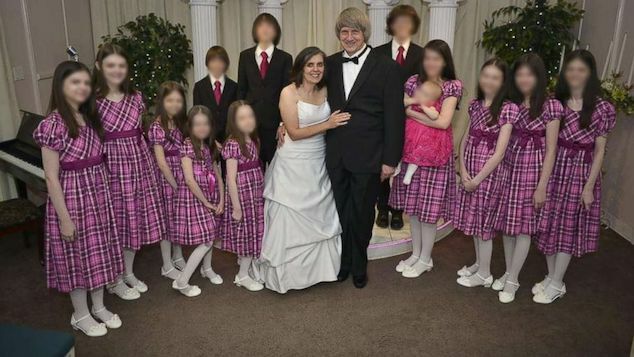 Her family’s grief and anguish is raw and apparent for everyone to see. Adding, ‘You have shown no remorse for killing Molly. ‘You are concerned only with yourself and your own feelings. Joshua Stimpson had also threatened and intimidated previous ex girlfriends after break ups. 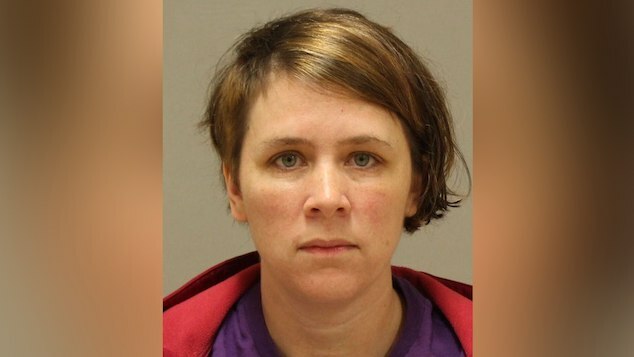 During trial deliberations, the prosecutor told of the victim messaging her friends telling them she was ‘looking over her shoulder all the time’ because of her obsessive ex. McLaren’s mother, Joanne, told the court that her daughter was ‘increasingly anxious’ about a series of derogatory comments Stimpson had posted online, including the false claim that she was taking cocaine. In one post, Stimpson wrote, ‘There’s more to come’. Damning the defenses allegations of diminished responsibility were claims from former girlfriends of Stimpson who told of being stalked after splitting from him. Alexandra Dale said he would follow her and take pictures of her, asking why she was wearing certain clothes. He also sent her a photo of her back garden and threatened to drown her on holiday. 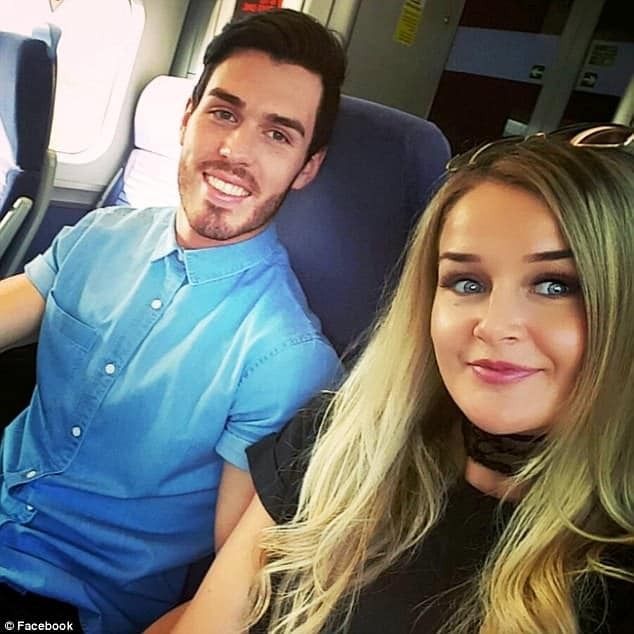 Another of his ex-girlfriends, Leah Hubbard, said he spat drink all over her in a nightclub after they split, then waited outside for hours for her to leave. Two psychiatrists gave conflicting views on Stimpson’s mental state at the time of the attack. Defense expert Dr. Shahid Majid assessed him as suffering from an ‘abnormality of functioning’ arising from a mental condition, while prosecution psychiatrist Dr. Philip Joseph said he believed Stimpson was not suffering from any recognized medical condition. In their statement after the case, McLaren’s family said more needs to be done the raise awareness of digital stalking and its dangers. Stimpson had previously seen his doctor and said he thought he was bipolar. He was put on prescription medication and referred to a mental health doctor in July 2016, but did not engage. Although he was prescribed the medication at the time of the attack, it is not known whether he was taking it.